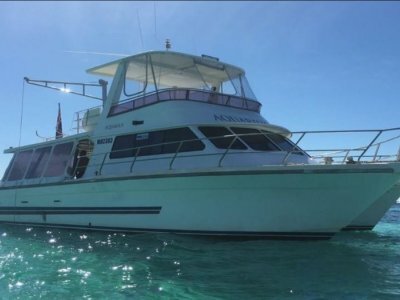 15 M GRP COUGAR CAT CHARTER VESSEL IN 1C SURVEY (3 CREW + 30 UNBERTHED PAX) OPERATING OUT OF CORAL BAY, EXMOUTH ON WHALE SHARK SAFARI TOURS WHERE YOU CAN SWIM WITH THE GENTLE GIANTS OF THE SEA. 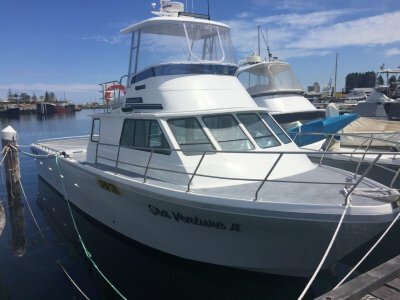 THIS IS A GREAT VESSEL, AND A PERFECT TIME TO TAKE UP THE OPPORTUNITY TO RUN YOUR OWN VESSEL. 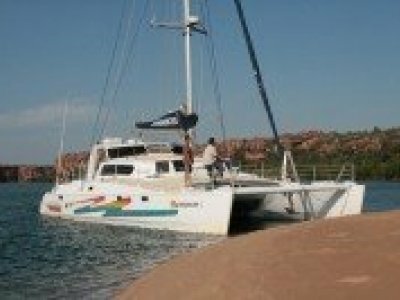 POWERED BY TWIN 3208 CATERPILLAR ENGINES, HAS RAYMARINE NAVIGATION ELECTRONICS, 4KV GENSET, CARRIES 1500 LITRES OF FUEL, AND 400 LITRES OF FRESH WATER. HEAPS OF DECK SPACE AND THE FLYBRIDGE IS EXTENDED TO GET A 360 DEGREE VIEW. 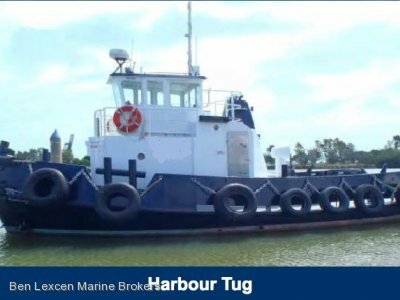 THIS VESSEL HAS BEEN MAINTAINED IN EXCELLENT CONDITION BY THE CURRENT OWNERS. A GENERAL MAINTENANCE LIST ON THE VESSEL IS AVAILABLE UPON REQUEST. THIS IS A MUST SEE VESSEL WITH NO MONEY TO BE SPENT. 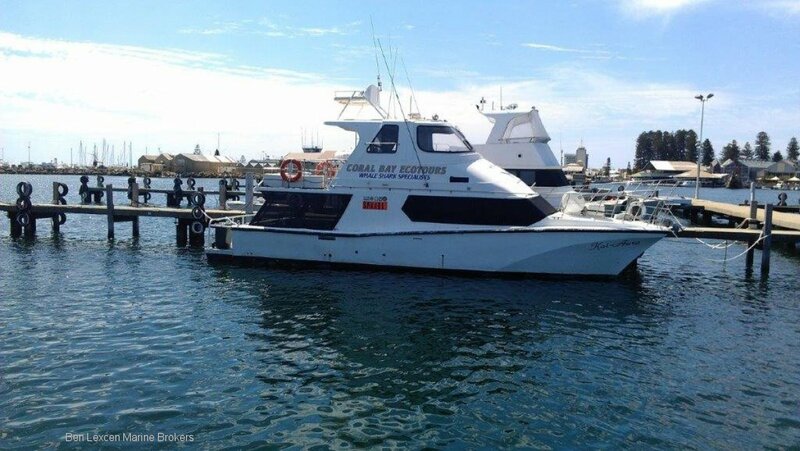 THE VESSEL HAS NOW BEEN REDUCED, GREAT VALUE AT THIS PRICE. CALL OUR OFFICE FOR A COMPLETE DATA SHEET OR TO SPEAK TO ONE OF OUR TEAM MEMBERS.